At SHI Group China, a China recruitment agency, recruitment in China is our focused area of service to our clients. As a recruiter China, we help you find the best people, build successful teams, and generate value through excellence. We find exceptional leaders who are in tune with your markets and the culture of your organization. Our China recruitment agency focuses on a thorough recruitment China search process and commitment to high quality service. Our people, our process, proprietary database and other networks ensure that we can bring in and know the right candidates well enough. With excellent integrity and resources, SHI Group China is able to provide clients the highest quality of executive search recruitment, to manage and transform their businesses. Consistently providing Trustworthy Talent is the key to build our firm’s reputation. Our China recruitment agency realizes that every client has different requirements and need for a great first time hire. The most important part of what we do is seek real data through our deep background check. This kicks out 72% of the candidates which makes our job harder, but insures you get a good hire. 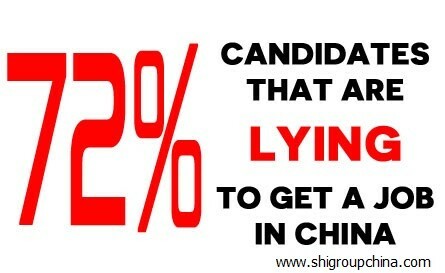 SHI Group China believes that not every senior executive with China experience is the best candidate for you. We know most Chinese senior managers are not right for you. Neither is easy to filter. You further need a person of strong proven integrity and a kind or humility to see and understand more. With the best people, resources and knowledge, our team tailors to meet our client’s talent needs. Our firm is dedicated to provide outstanding levels of excellent customer service as a recruiter China, and we are committed to do executive recruitment confidentially, promptly, and effectively. Additionally, we have a well-established relationship with both our clients and candidates. Furthermore, we are experts in the human capital field and understand your need for quality talent that you can trust. With so many executive search firms having the same services such as outsourcing of recruiter China needs, how can you ensure that you pick the best search firm that can get the best candidate for your organization? The answer is simple. You need a China recruiter who has a thorough understanding, professionalism and quality to attract the highest quality candidates. Then you need them to have the character to do a background check that will kick out 72% of the candidates. In addition to this, your search firm must act as your emissary and be capable of putting itself into your position—at SHI Group China, we can provide you with that and much, much more. Searching for a candidate to fill an executive position takes incredible diligence, fore-thought, and research. This is for the important responsibilities that this person must undertake. Even more so, we do this for the reputation of the company and its future. A member of our recruiter China team will dedicate their time and effort towards finding the ideal candidate for your position. At SHI Group China, a China recruitment agency, we understand that there are many recruiters in Shanghai to choose from. However, customers who have worked with us have commented on our unique personalized approach, the difference in the level of service, and the remarkable candidates we provide. We believe for real success in China, companies need to have talented hires that can be trusted in all situations. Importantly, our firm was created to help companies get the right people through our strong search and background check checks. We understand that people make the difference in a successful enterprise. Further, in today’s competitive results-oriented business world, that is more important than ever. People enhance the reputation of their companies and drive improvements in management, operations, and financial performance. They are the ones that ultimately create the value of a company. Our team at SHI Group China strives to become the leading recruiters Shanghai in executive search in China. With our transparency, proven process, real data, and excellent service, we work to operate under a win-win-win principle—a win for your company, a win for our candidate, and a win for us. Even more so, our experienced staff possesses the requisite expertise and network to find the most qualified personnel for businesses across a variety of industries, serving clients ranging from multi-nationals to start-ups. SHI Group China provides unparalleled commitment, experience, and integrity in the recruitment of your organization’s most critical asset: your employees. Our business is knowing you. This is why we strive to understand your business, your unique corporate culture and human capital needs. Our team interviews all of our candidates for more than 60 minutes and often for two hours, which allows us to better understand and assess the candidates. Furthermore, we seek to know you and the candidate better to get a better fit with your company. At SHI Group China, a China recruitment agency serving China, our recruiters Shanghai take on each assignment with an extreme sense of urgency. When you need the right person, you need our commitment to be responsive at all times. We understand this and jump on every assignment. Finally, we believe that honest business practices and a long-term dedication to this business has give us the edge that you need. Every company needs leaders who believe in its mission and drive success with the right mix of knowledge, experience, and expertise. This is much easier said than done and an important reason we exist. 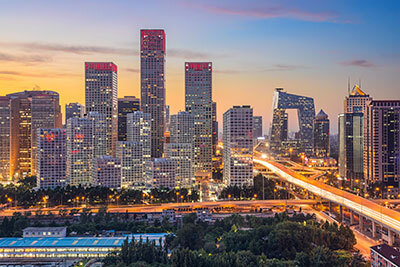 At SHI Group China, a China recruitment agency, our recruiters Beijing work closely with you to understand your culture, your needs, and where you want to take your organizations. It’s all part of our process to find the very best leaders to guide you forward. Our work begins with an in-depth review of your needs and culture. Also, we add our knowledge of the current work environment. These steps helps us clarify the issues that will affect your organization and its goals. This further clarifies the skill set your next leader will need. Drawing on our experience as recruiters Beijing, as well as our national networks and our personal relationships with qualified individuals, we can identify and bring forward candidates with talent and character. Your organization needs this to succeed, now and in the future. Moreover, as part of our search process, we conduct an extensive reference and verification process for every candidate. This includes confirming employment history, verifying academic credentials, and conducting extensive reference conversations. 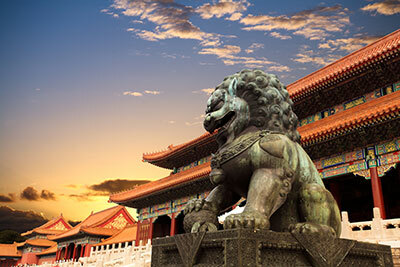 We search China and the world for precisely the right talent for your organization. Furthermore, SHI Group China leaves nothing to chance as the top recruiters Beijing. Finally, Our process begins with a deep dive into the technical skills and personality traits you expect in a top candidate. Once we know exactly what you want, we work with you every step of the way. We interview deeply, and after you interview, we got permission and background check even more thoroughly. We formally recommend candidates that have passed the background check. After you and your team have made your selection, we help seal the deal by managing a smooth offer and negotiation process. Once your winning candidate is on the job, we follow up to make sure the relationship is working well. 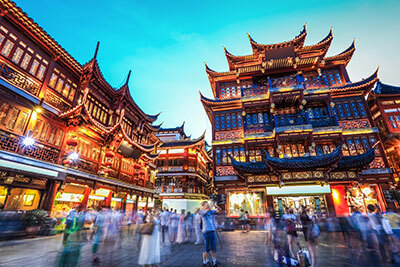 Leveraging our deep knowledge of China and leadership, our team is able to execute searches more efficiently and make successful placements of surprising quality.